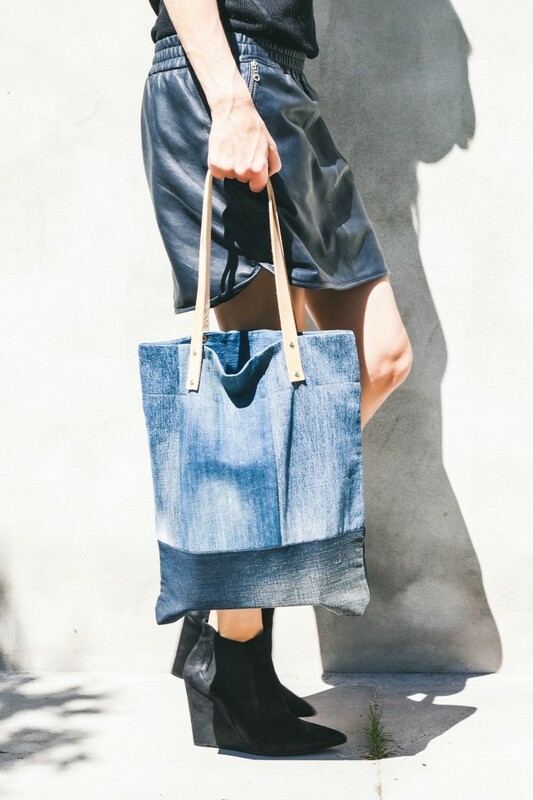 This shopper is made by pieces of recycled denim jeans, beautiful tanned leather and brass trimmings. Our shopper is ideal to bring on the go has and has space for all your everyday gear, your laptop, groceries or whatever you need to bring with you. 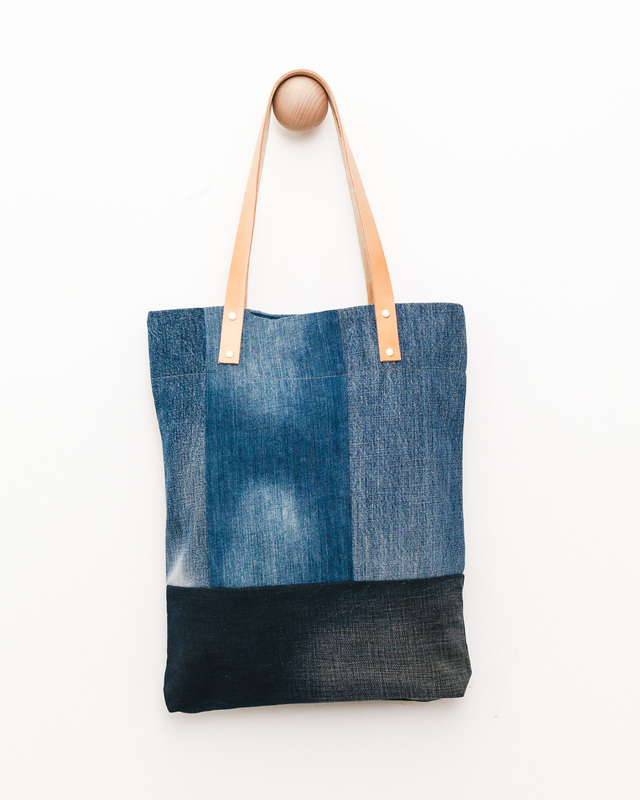 Due to the use of recycled denim fabric every bag is unique and tells a different story. The bag is entirely yours and you will never find two of the same. 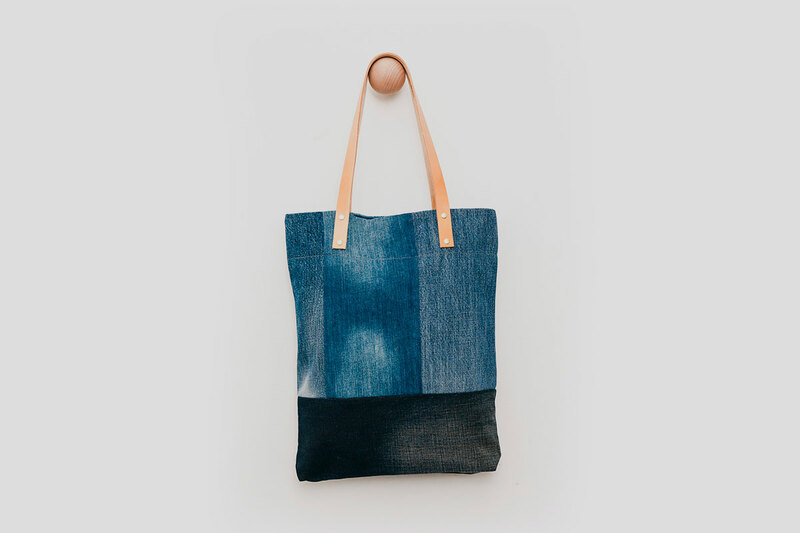 Since the product is made from used jeans, expect irregularities in colour. The colours you see in this picture is not necessary what you can expect, but we try to ensure that all bags are beautiful, and that the colours range from light to dark where you see it in pictures. This is a product that slightly changes as you use it and the leather will gradually darken and become softer.